As government medical officials make plans to take away vaccine exemptions for children and seek to make vaccines mandatory in the United States, vital information about the safety of vaccines is either ignored or censored. The American public is largely unaware that there is a vaccine court known as the National Vaccine Injury Compensation Program (NVICP). This program was started as a result of a law passed in 1986 that gave pharmaceutical companies total legal immunity from being sued due to injuries and deaths resulting from vaccines. If you or a family member is injured or dies from vaccines, you must now sue the federal government in this special vaccine court. Many cases are litigated for years before a settlement is reached. 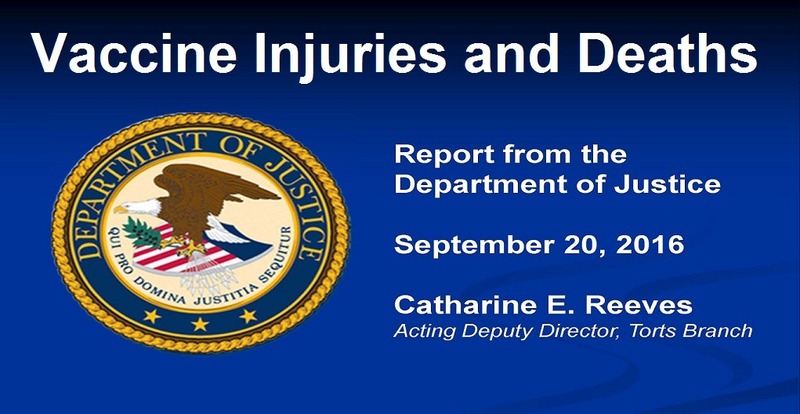 Once every 3 months the Advisory Commission on Childhood Vaccines meets, and the Department of Justice issues a report of cases settled for vaccine injuries and deaths. As far as I know, Health Impact News is the only media source that publishes these reports each quarter. The most recent report was just issued on September 20, 2016 which covered the period from 5/16/16 to 8/15/16. 233 cases were adjudicated. 113 of them were listed in the report, specifying the vaccine, the injury or death, and the amount of time the case was pending before settlement. 89 of the 113 cases settled were for injuries and deaths due to the flu vaccine, making the flu vaccine the most dangerous vaccine in the U.S., harming and killing more people than all the other vaccines combined. How many people in the United States, including doctors and nurses who give flu shots, are made aware of these statistics prior to receiving a flu shot, or allowing one to be given to their children and loved ones? The HRSA reports these vaccine injury lists and I believe Health Impact is getting them from this site. In fact they discuss and post their ACCV meetings. You just need to know where to find it.